I enjoyed Bad Man very much. The progressive creepiness was a delight and the highs and lows of the progression were spaced nicely. Even when the progression slowed to a snail's pace, it still managed to build ever so slightly--plenty to keep you interested and moving forward waiting for the next burst. Most characterizations were full, rich, and tone-setting; those that were not aided in building the suspense factor as the reader was fed tidbits of information about the character. Readers will find themselves doubting almost every character in the book at different times and that added to the tension throughout. Is Ben (the protagonist) dreaming this? Is he mis-remembering? Is he nuts? Are these people real or figments of his imagination? Auerbach bounces you back and forth between these thoughts deftly, expertly, and he does it in such a manner that you are always a bit off kilter when you come to a stopping point. On the surface, the story is simple enough: little brother wanders off while in the care of big brother. That's it. Nothing more, nothing less. But what Auerbach does with this simple story is unusual, frightening, suspenseful, and twisting. In my opinion, the book dragged on a bit and could have lost about 75 pages. I would have liked it a little tighter and faster-paced. There was also a meandering sub-plot about a private school that was never resolved to my satisfaction and one main character whose motive was never fully revealed. As an aside, like Auerbach, I worked my way through undergraduate school in a grocery store and I really enjoyed that little nostalgia trip--he nailed it. In the event there are others out there who have heard of Auerbach only through his internet reputation, I want to put your mind at ease--I did not want to like this book because of a prejudice. 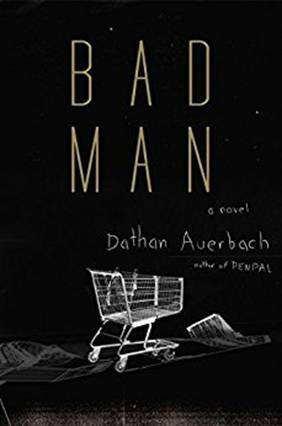 When I saw "Reddit horror sensation Dathan Auerbach delivers a devilishly dark novel..." I'd already made up my mind that he was an internet flash-in-the-pan. When I learned that Auerbach had done a Kickstarter to raise money for his first novel, Penpal, I was especially leery. But, you know, things change. Techniques change. Publishing has changed. I was wrong. And not for the first time, either. Words of caution to readers, though: Pay attention to the Prologue. Strict attention. It's short--only 3 pages--and I almost didn't get through it. Take your time with those 3 pages. They're written in a style totally different from the rest of the book so don't let that throw you like it almost threw me. It's important. When you've finished the book, go back and read it again. I think it should have been both the prologue and afterword. This has absolutely nothing to do with the book, but in closing, let's get something straight. Dathan Auerbach has a very devoted following on Reddit. One negative word or criticism about anything he's done will get you a handful of threatening tweets, a dozen bad reviews of your own work, and assorted cheap shots. That's not Auerbach's fault. Yes, it's stupid and infantile, but don't hold it against him. He's a helluva writer.